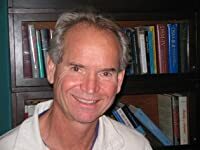 I mentioned psychology professor Robert E. Emery in 2005 and 2008 because he co-authored an article on how child custody evaluations are unscientific voodoo. Now he has a NY Times op-ed on how family courts should allow parents to make agreements to let special masters settle disputes. This would be a big bonanza for divorce psychologists like him, but the whole idea of psychologists running the lives of parents is a terrible idea. People would only agree to it if they were convinced that family court is worse (as it might well be). Nevertheless the article makes several good points. MY wife and I disagree, sometimes vehemently, about how best to raise our four children. She’s a lawyer, and I am sure the thought of suing me has crossed her mind once or twice. But she cannot. American courts consistently refuse to entertain child-rearing disputes between married parents. Married parents cannot sue each other. Divorced parents (or those who never married) can and do. Judges routinely decide where the children of divorced parents will attend school, worship and receive medical care; judges may even decide whether they play soccer or take piano lessons. So far so good. Married parents should not be able to sue each other, and unmarried should not be able to sue over routine parental decisions either. To my knowledge, judges nearly always approve parenting plans if the parents stipulate (agree). So this is not an issue. The problem is that if the parents disagree later, the judge may not enforce that parenting plan. I had a $28,000 evaluation from psychologist Ken Perlmutter, and his main recommendation was for the court to appoint a parenting coordinator who would have the authority to make all parenting decisions until the kids turn 18 years old, with no recourse or appeal if he is making bad decisions. This was in spite of the fact that he had evaluated our 4 years of joint custody, and could not find a single bad decision that we had made. In the big majority of cases, the parents are pressured to accepting the evaluation recommendations. If my ex-wife and I did that, our kids lives would be run by some a**hole like Perlmutter. Kids have two parents. No one has found a better way. It is my understanding that the Santa Clara court and some other California family courts have abolished these parenting coordinators. There is some merit to this argument, and the law used to favor the breast-feeding mom under the Tender Years Doctrine, but now that is considered sexist and disciminatory. His proposal will not solve that problem. Our legal system has always seen the wisdom of encouraging married parents to work together. Now it needs to recognize that divorced and never-married parents are not so different. After all, partners with children are tied together forever. This is a strange comment because his main proposal is for divorced parents to get parenting coordinators, and he is not suggesting that for married parents. California and many other states already treat divorced and never-married parents the same for child custody and support. These laws are anti-marriage when they treat marrieds and unmarrieds the same. I just posted a study claiming to show that the children do not benefit at all from the parents holding back that impulse. That study may be wrong, but Emery is relying heavily on unproven assumptions. At least Emery clearly explains part of what is wrong with the family court. Too bad his ideas for reform are so stupid. The President is the father of two daughters. And like any American, he believes that domestic violence is contemptible and unacceptable in a civilized society. Hitting a woman is not something a real man does, and that's true whether or not an act of violence happens in the public eye, or, far too often, behind closed doors. Stopping domestic violence is something that's bigger than football — and all of us have a responsibility to put a stop to it. Apparently everyone agrees that Ray Rice should not be allowed to play football. The video looks incriminating, but we don't know what the fight was about and the woman decided to marry him even after he was indicted for the incident. I really don't see why Obama or the NFL should be interjecting themselves into a private incident between a husband and wife with neither of them complaining. In today's politics, domestic violence is everybody's business I guess. I am a member of Gov. Deval Patrick’s Massachusetts Working Group on Family Law. After two years of work, we crafted a bill very similar to the points raised by Mr. Emery. The bill, not yet passed, does away with the term “visitor” and replaces it with “parent.” The bill encourages parents to cooperate, share parental responsibilities and come up with a parenting plan. Children benefit from having contact with both parents after separation and divorce. Massachusetts and other states should pass shared parenting laws so that children can grow up knowing and loving both parents. I doubt that his bill is any good, if his main point is changing some terminology. What is needed is a bill that recognizes parents rights, and not just using different terms. If a nursing mom can drop off bottles of mother's milk at daycare for the baby to drink while she's working, she can drop off bottles at dad's house while he's doing childcare. Child custody remains in the the courts with lots of discretion, because ultimately its about the money. The court sees indirect benefits of child support. The matching funds and fees collected. Mothers win, because they tend to make less money, so more child support is paid when she has custody. The creepers who step into these cases in the interest of the children are usually poor poor pathetic people who have very little power in their own lives, and relish in the authority the court has given them over other people's lives. I know the GAL in my case is the kind of guy that makes me hug my kids closer in a shopping mall.